Mythbusters: Does Hotboxing Actually Get You Higher? While hotboxing is an activity that occurs every day in basements, closets, and in cars, does it truly make you higher? Let’s settle this once and for all. 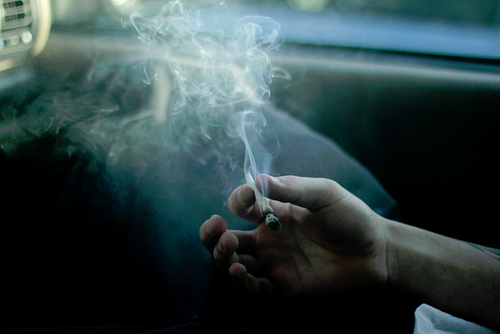 The beautiful art of hotboxing is said to get cannabis users higher when smoke is contained in a small space. If you’ve been around, you’ll be familiar with the concept of the hotbox. While hotboxing is an activity that occurs every day in basements, closets, and in cars, does it truly make you higher? Let’s settle this once and for all. Herb MythBusters edition: Does hotboxing actually get you higher? In case you are late to the party – what is a hotbox, or hotboxing? Hotboxing refers to smoking in a relatively air-tight location, such as a closet or in a car. This trend began when users realized two things. First, that smoking out in public, or in less concealed spaces, could get you into some trouble. More importantly, cannabis users realized that containing smoke in a given area could get you higher! Does this perplex you? Well, think of smoking, exhaling, and then breathing in very containing levels of second-hand smoke. In theory, the hotbox is a brilliant, as hotboxing is generally a communal smoking experience. A group of friends smoking = lots of smoke. Viola – the hotbox. Maybe you have hotboxed yourself, or maybe you have not and want to give it a try. Here are some first-hand accounts from across the world-wide-web to help you better understand the experience. Enjoy! This user has a typical experience. Lot’s of weed and a few friends make for a pretty smoky car. Bonus points for the location. This user hotboxed, or steamboxed, in a pretty typical fashion. 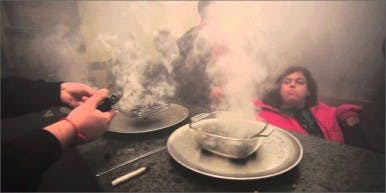 If you’ve dabbled in the hotbox world, you’ve done this. Also, the 3-4 inch visibility is accurate. These guys got creative. They combined three amazing things: cannabis, an igloo, and pizza. These people are champions of the hotbox. Drum roll, please. Does hotboxing actually make you higher? In 2015, the John’s Hopkins University School of Medicine decided to answer this question. The study confirms that exposure to second-hand cannabis DOES make you higher. The combination of an enclosed space, cannabis smoke, and a lack of oxygen contribute to users experiencing stronger highs. The light-headed feeling you experience during a hotbox session is attributed to both the lack of oxygen you’re intaking and the amount of smoke you are inhaling. Now that the validity of one of your favorite past-times has been settled, it’s time to have some fun. Call your crew, buy yourself some dank bud, close the door, and enjoy the extra high you get from hotboxing.